It is time for my 10 Things on the Tenth of the Month post. 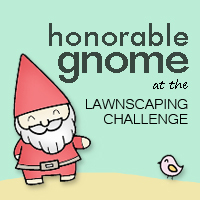 These posts are organized by the talented scrapbooker and blogger, Shimelle, and you can read more on her blog. We recently took a long weekend to go to Disneyland. 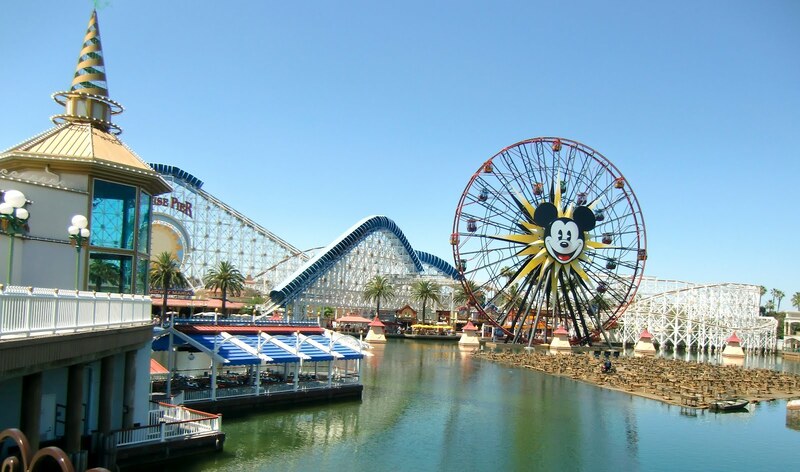 Some friends from Texas were planning to visit Disneyland and California Adventure for two days, so we planned to drive down to join them. In the planning process, we invited John's mom and sister to come along. John's brother made the road trip with us to visit a friend in LA. We had a fabulous trip! 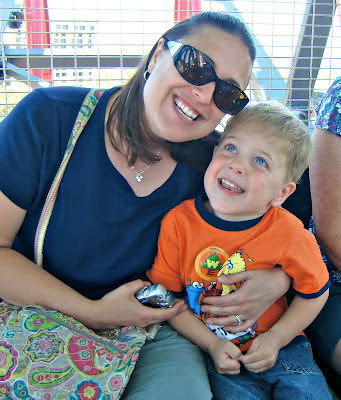 I have uploaded and edited so many pictures from our trip and could fill multiple blog posts. For now, I have decided to share my 10 favorite photos from the trip. Some of these photos were taken by my sister-in-law, Jenni. I love taking pictures with my iPhone, but I was really impressed with Jenni's Casio point-n-shoot camera. I may be in the market for a new digital camera, and they make a 14 mp version now. 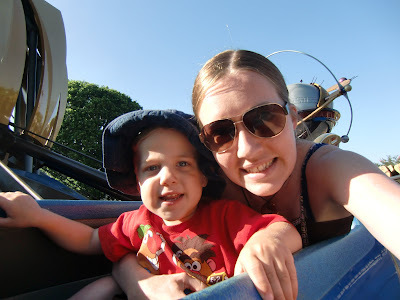 Alex's first ride at Disneyland was the Astro Orbitor in Tomorrow Land with his Aunt Jenni. 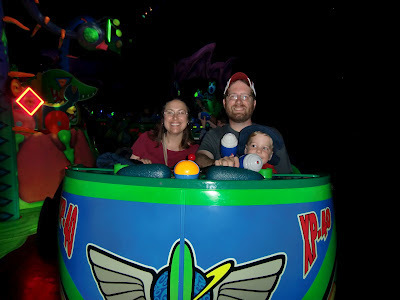 We all had fun on the Buzz Lightyear Astro Blasters. We had fun returning to Disneyland after dark for the fireworks. Alex loved playing with his new Mickey toy ($15 well spent). 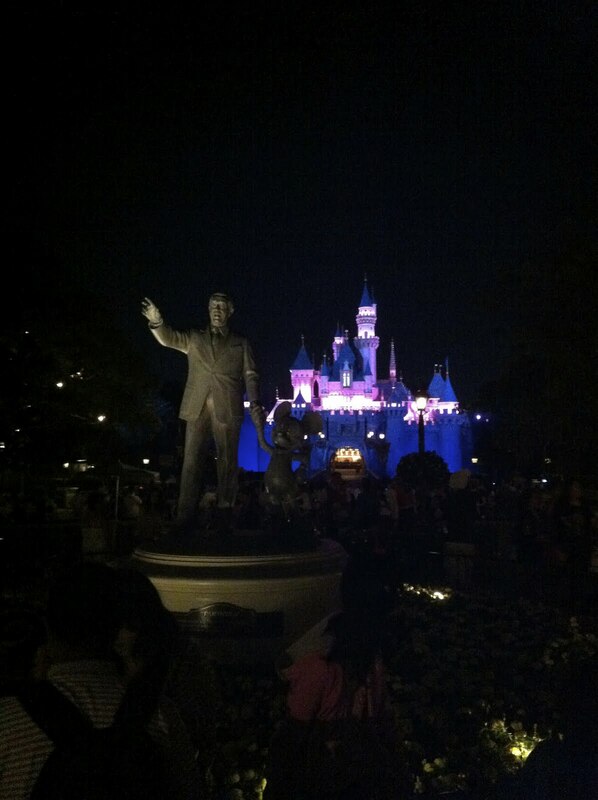 I had to get a photo of the castle, Walt Disney, and Mickey Mouse at night. 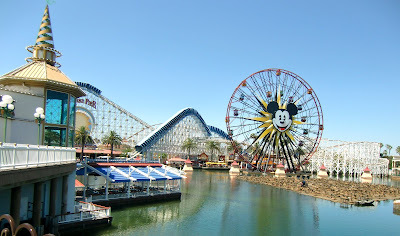 We headed over to Paradise Pier where Alex wanted to ride Mickey's Fun Wheel, and Jenni wanted to ride California Screamin'. I do not think that I have been on a roller coaster in over ten years, and it was a lot of fun. "Say Cheese." 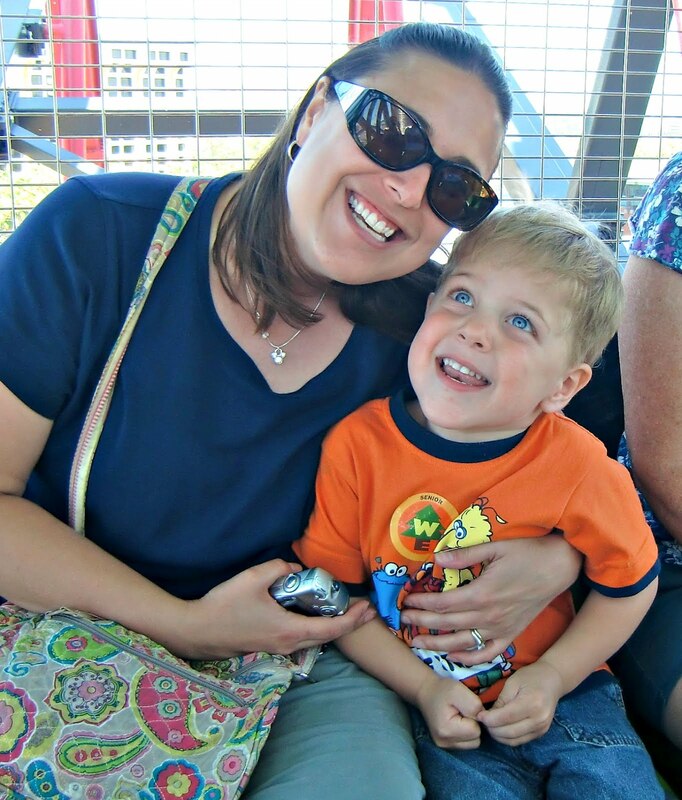 Alex and I are on the ferris wheel. 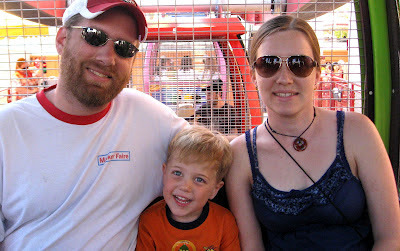 Alex also had to sit with his Daddy and Aunt Jenni on the ride. 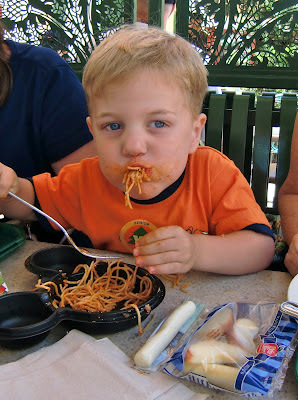 Alexander "Messy Man" lived up to his name at lunch. Grandma Mickey was nice enough to stand in the long line with Alex at Cars Land for the Luigi's Flying Tires ride. 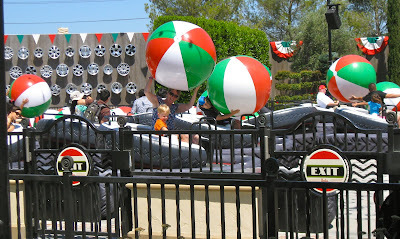 The best part of Card Land is how they recreated the town of Radiator Springs. 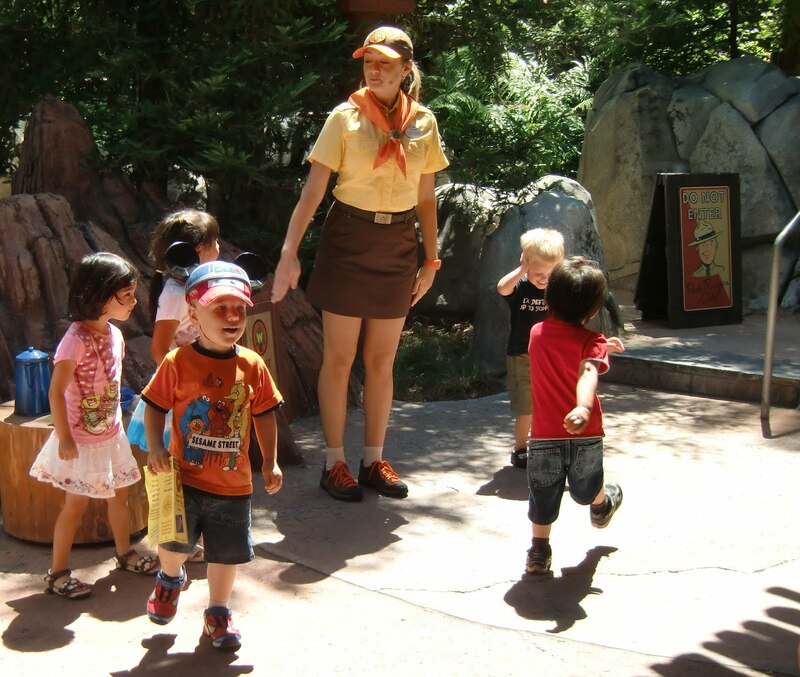 We'll have to ride the Radiator Springs Racers on our next trip. Great photos from your trip! 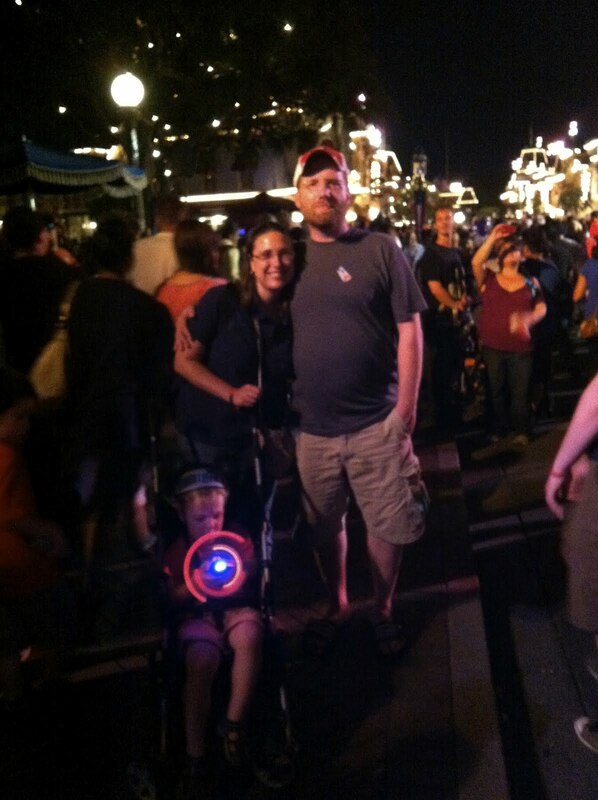 Gotta love DISNEY. Love your photos! I love all things Disney, can't wait to see the new Car's Land. Thanks for sharing your photos! Disney is always fun with the little ones - love the spaghetti face shot! You got such wonderful photos! Looks like it was a great time! Looks like a fun trip!!! Great pics..Alex looks as if he really enjoyed himself! PS Sam loves the name Messy Man.